The Back to The Future trilogy first hit the cinema screens in 1985 and amassed a phenomenal US $926 million at the worldwide box office. Film making legend Steven Spielberg, Academy Award winning director Robert Zemeckis (Forrest Gump, Cast Away) and his equally renowned screenwriter Bob Gale, broke the mould of traditional adventure-comedy films and left an indelible mark on popular culture that still resonates among a huge fan base. Back to The Future charts the amazing adventures of Marty McFly (Michael J Fox), a high-school student in the small Northern California town of Hill Valley. The adventure starts in 1985 when Marty's mentor and friend, the eccentric genius scientist Doc Emmett Brown (Christopher Lloyd), invents a time machine in the form of a plutonium-powered DeLorean. Marty is blasted back to the year 1955 where he accidentally keeps his parents-to-be, bumbling teenage father (Crispin Glover) and flirtatious mother (Lea Thompson) from falling in love. He has to get them together as well as keeping town bully Biff Tannen (Thomas F. Wilson) at bay, before the clock runs out and changes history irrevocably, vaporising his very existence. Meanwhile he must also convince the younger but still crazed Doc to help him get Back to The Future! Back to The Future Part II continues with Doc returning from the future to convince Marty and girlfriend Jennifer (Elisabeth Shue) to launch themselves once more into the space-time continuum. They take the time-traveling DeLorean into the year 2015 to straighten out the future of the McFly family. Biff Tannen steals the time machine, travels back to 1955 and gives his younger self a book containing 50 years of sports statistics which the young Biff uses to amass an enormous gambling fortune and transform idyllic Hill Valley into a living hell. 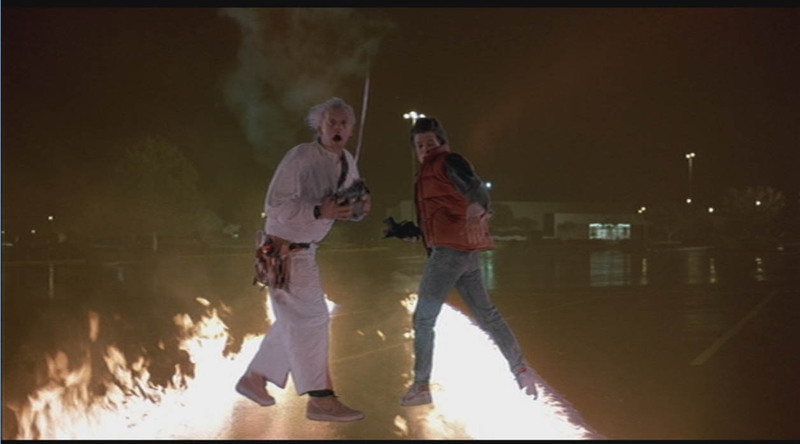 To restore the present, Doc and Marty must return to the events of their previous adventure in 1955 and retrieve the book. In conclusion to the trilogy, Back to The Future Part III sees Marty receive a telegram in 1955 from Doc Brown who has been transported further back in time to 1885. Marty discovers that Doc is murdered shortly after writing the telegram and embarks on a rescue mission where he must save Doc from death at the hands of yet another member of the Tannen clan. However, there are a number of complications preventing a quick return to the future: a lack of petrol for the time-travelling DeLorean, a band of gun slinging outlaws and a school teacher with affections for the smitten Doc. Will they be able to put the past, present and future back on track so they can all get back to where and when they belong? Time travel has intrigued and excited movie-goers for generations and the Back to The Future trilogy with its strong cast and varied plots offers hours of breathtaking action, ground breaking comedy and sheer movie making magic. Memorable quote from the 85 film! Marty McFly: Wait a minute, Doc. Ah... Are you telling me you built a time machine... out of a DeLorean? The script never called for Marty to repeatedly bang his head on the gull-wing door of the DeLorean; this was improvised during filming as the door gas strut needed replacing. 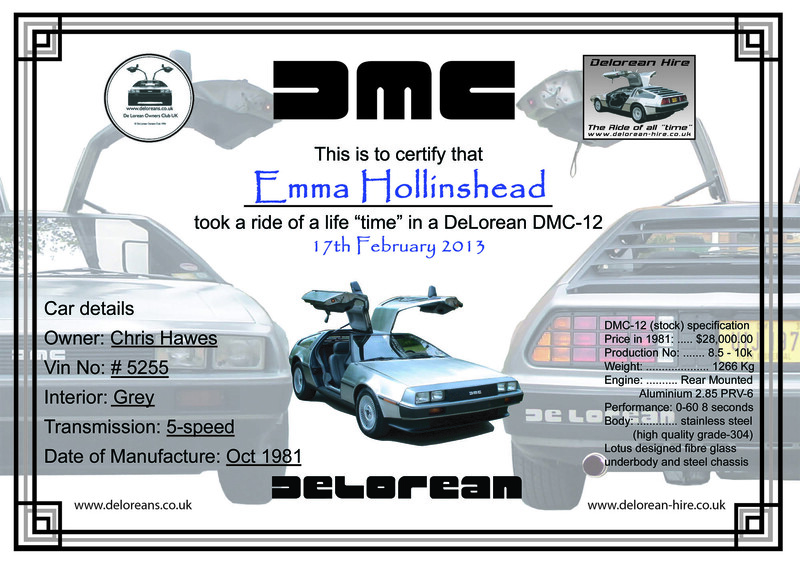 The DeLorean time machine is a licensed, registered vehicle in the state of California. While the vanity license plate used in the film says "OUTATIME", the DeLorean's actual license plate reads 3CZV657. The DeLorean used in the trilogy was a 1981 DMC-12 model, with a fuel injected V6-cylinder PRV (Peugeot/Renault/Volvo) engine. The base for the nuclear-reactor was made from the hubcap from a Dodge Polaris. 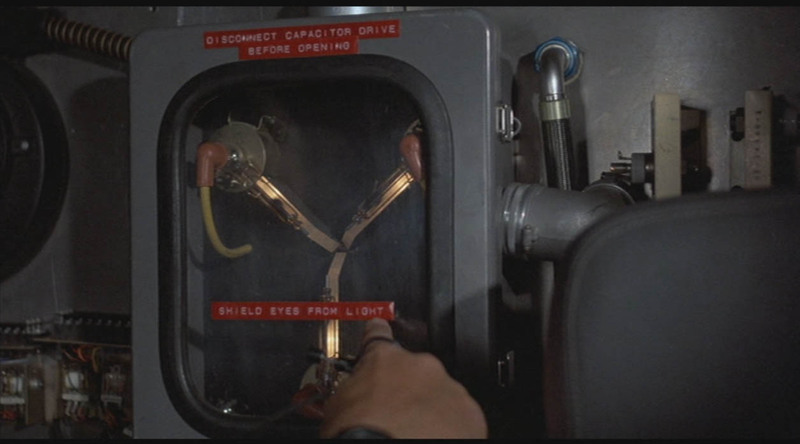 In the 2002 Special-Edition DVD of the BTTF Trilogy, it is incorrectly stated that the DeLorean had a standard 4-cylinder engine. 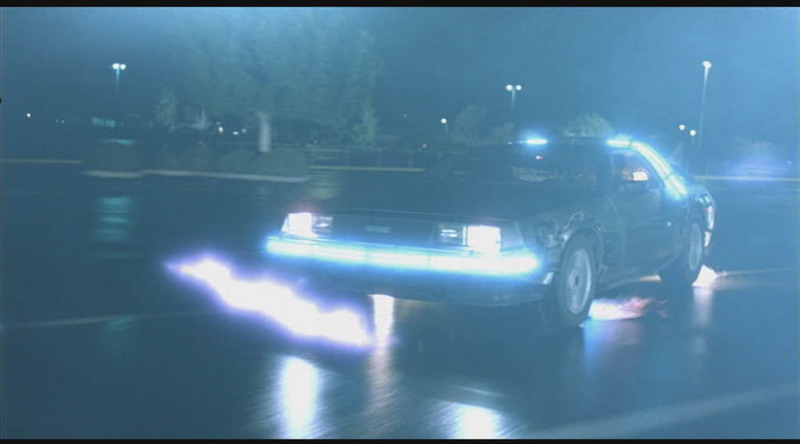 When Marty is trying to re-start the DeLorean in 1955 as he prepares to return to 1985, the car's headlights flash the Morse Code for "SOS". Famed before Back To The Future as Alex Keaton in the US sitcom Family Ties. Other Film credits include Teen Wolf, Secret Of My Success, Doc Hollywood, Bright Lights, Big City, Casualties Of War, The Concierge and the voice of Stuart Little. Most recent TV Series Spin City. In 1991 Michael was diagnosed with Parkinson's Disease, but announced it in 1998. He’s suffered with his illness but managed to complete his autobiography - Lucky Man. You can spot the young Christopher Lloyd as a young, shaved headed mental patient in One Flew Over The Cuckoo's Nest. Often plays the lunatic and had a successful run on the US Sitcom Taxi as Jim. Film Credits include Who Framed Roger Rabbit, Uncle Fester in the Addams Family movies, and a notable appearance in the Emmy award winning TV Movie WIT as the Doctor of dying cancer patient Emma Thompson. The talented Crispin Glover was a perfect comedy cast member as Michael J Fox's dad in Back To The Future, but he was replaced in Back To The Future II, and sued producer Steven Spielberg for incorporating unused footage of him from the first film without his permission. Credits include River's Edge, Wild At Heart and as Andy Warhol in The Doors. As Marti’s mom in the Back To The Future films, Lea Thompson's credits include Howard The Duck, Space Camp, Jaws 3-D, The Beverly Hillbillies and Some Kind Of Wonderful.